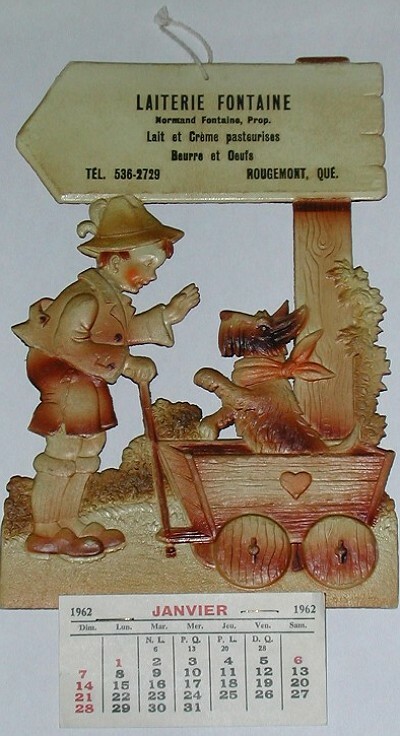 " Normand Fontaine prop. " 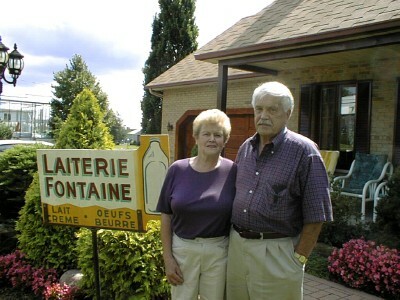 Mr. Normand Fontaine : " I started as a milkman in 1947. 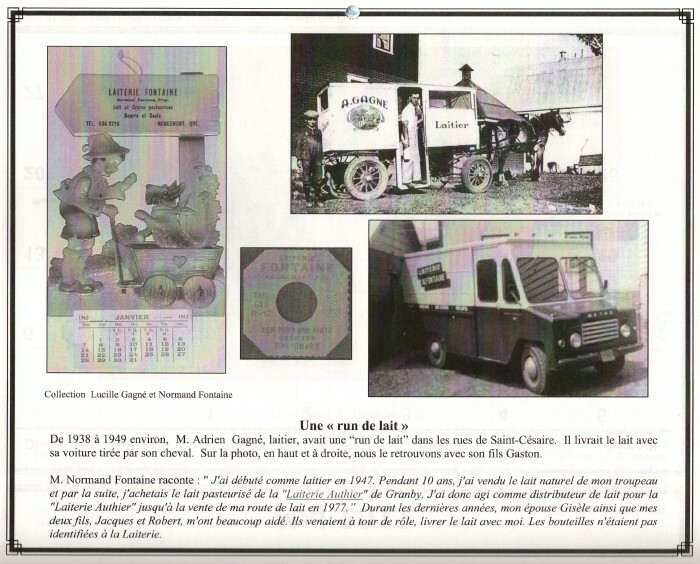 During 10 years, I sold natural milk from my own herd then after, I bought pasteurized milk from "Laiterie Authier" in Granby. 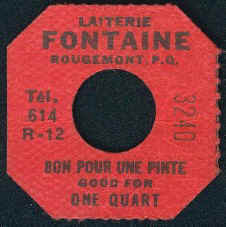 Since, I considered myself as a milk distributor for the Authier Dairy. In 1977, after 30 years of work, I decided to sell my milk route. 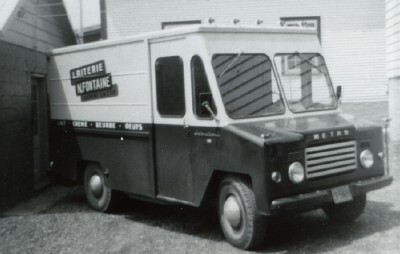 During the last years, my wife Gisèle, as well as my two sons, Jacques and Robert helped me to deliver milk to customers. Bottles were not identified to the dairy!